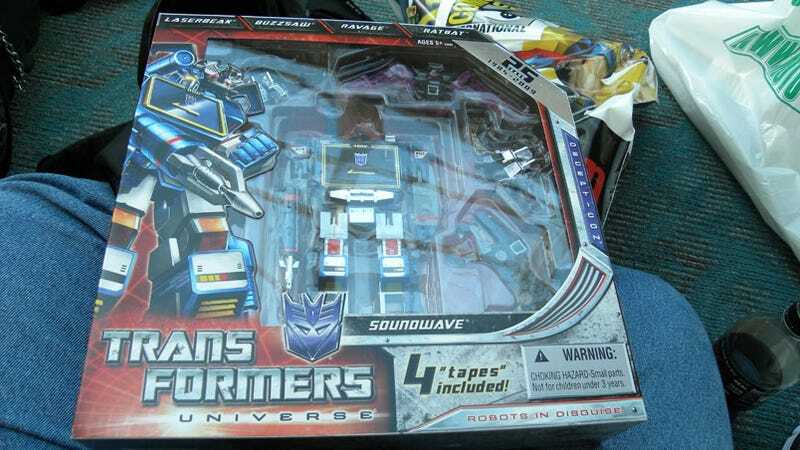 After two days of misery, the 25th Anniversary Transformers Soundwave is mine. I can now go home, leaving McWhertor to cover the remainder of Comic-Con on his own. Or maybe I'll stick around. I still haven't decided. The point is now I have a great many more bags to carry around, and will need to borrow a great deal more money from my brother at the end of the month for rent. Still, it's a triumph of the human spirit. Cue the Final Fantasy victory music while I pixel-dance.